The top lot of the auction was this 28-carat Ceylon pink sapphire ring at $240,000, which went to an in-house bidder. NANTUCKET, MASS. 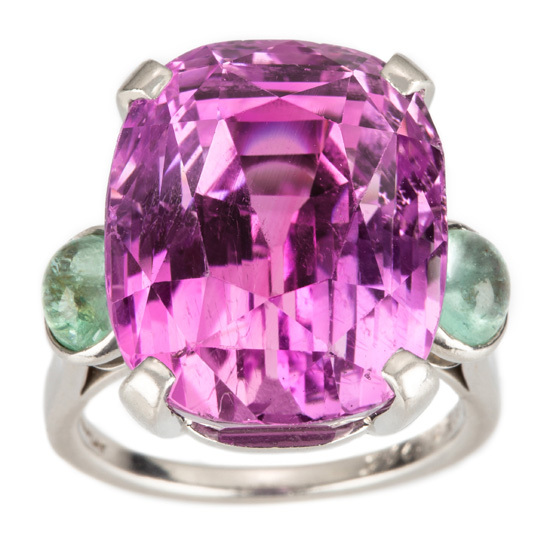 — The 28-carat natural, nonheated Ceylon pink sapphire ring saw a blistering bidding battle at Rafael Osona’s August 6 auction as the ring attained $240,000, selling to an in-house bidder. A phone bidder acquired this rare Nineteenth Century scrimshaw “Map Tooth” of New Bedford for $48,000. The ring was the expected standout piece among jewelry from the estate of the late Jane Starke Boyd, which was sold to benefit college scholarships for community students interested in pursuing careers in health care. Funds raised will be managed and distributed by the Jane Starke Boyd Charitable Foundation in Phoenix, Ariz.
Other highlights from Boyd’s collection included a natural jadeite bead necklace with 77 graduated beads, secured with an oval jadeite clasp, going to the phones for $18,000 and a Raymond Yard star sapphire brooch centered with a blue star sapphire measuring abut 80 carats surrounded by round diamonds, $16,800, also to a phone bidder. This being Nantucket, scrimshaw is a staple at Osona’s auctions and this sale did not disappoint. About three dozen items from the Carol and Stephen Memishian collection of Nineteenth Century scrimshaw crossed the block, led by a rare polychrome scrimshaw walrus ivory and baleen corset busk that Osona believes set a world auction record of $51,000, as well as a pair of Nineteenth Century Banknote Engraver scrimshaw whale teeth at $48,000 and a Nineteenth Century scrimshaw tooth depicting female pirate Fanny Campbell at $18,000. All three lots went to an auction attendee; most in attendance were private collectors. A rare Nineteenth Century scrimshaw “Map Tooth” of New Bedford, also from the Memishian collection, brought $48,000, but went to the phones. 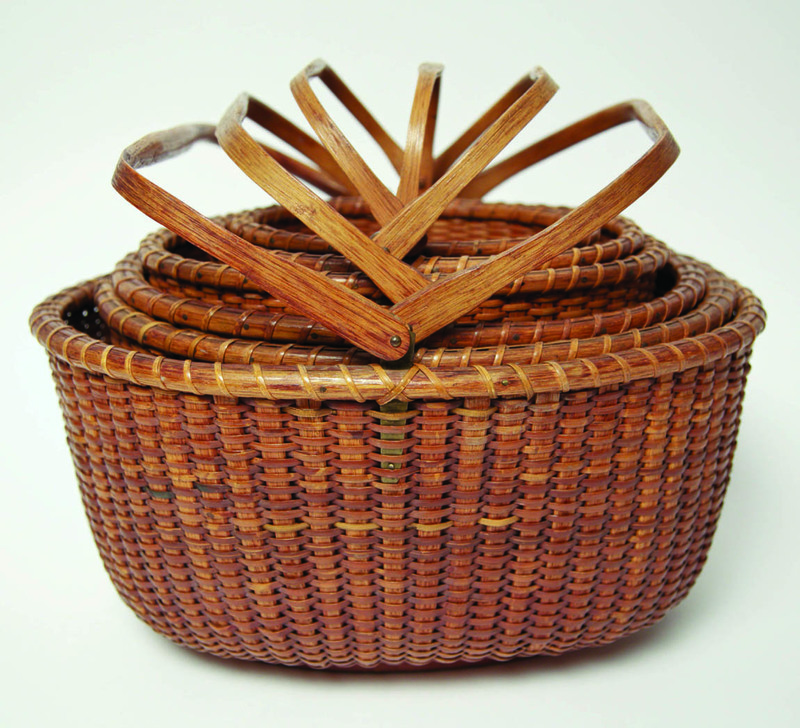 A nest of six A.D. Williams lightship baskets made $33,000, also selling to the room. 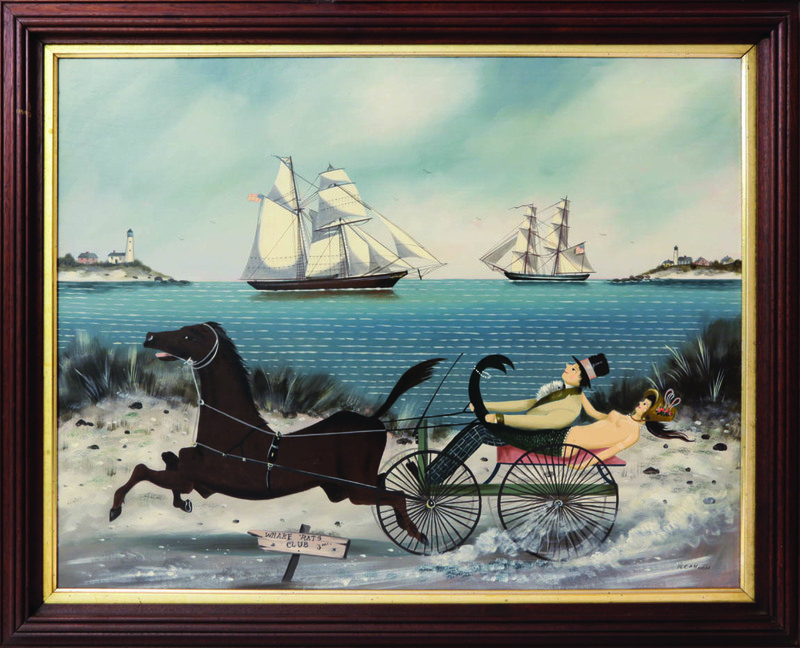 The fine art category featured another Nantucket/Cape Cod favorite: Ralph Eugene Cahoon Jr, whose oil on Masonite “Racing to the Wharf Rats Club” fetched $56,400 from a phone bidder. Another standout painting was Frank Swift Chase’s oil on canvas board “Nantucket Service Wharf” at $13,200. From the Sara Jo Kobacker Nantucket basket collection was a nest of six Arthur D. Williams (1867–1920) lightship baskets, circa 1910–20, in oval form with shaped swing handles, going out at $33,000. 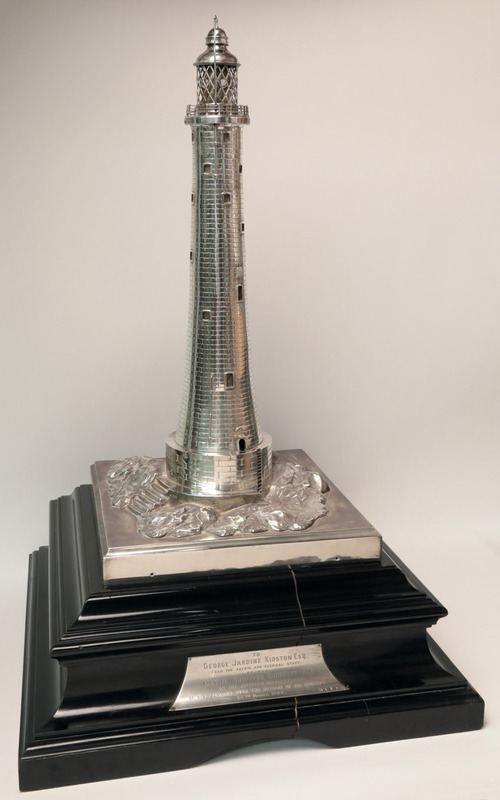 Rounding out the sale were a sterling silver Eddystone lighthouse sculpture selling for $12,000 to a London phone bidder and a Simon Willard tall case clock, 96 inches tall, going to the room for $16,200. The face and movement were circa 1787 and the clock was accompanied by the original handwritten bill of sale, “Roxbury June 21, 1787, Mr Seth Livingston. Bought of Simon Willard one eight Day Clock 9.00 the payment in full Simon Willard.” The clock descended in the family since its purchase. For additional information, www.nantucketauctions.com or 508-228-3942. Leading the fine art category at $ 56,400 was a Ralph Eugene Cahoon Jr oil on Masonite, “Racing to the Wharf Rats Club,” which went to the phones. This Simon Willard tall case clock earned $ 16,200 from an in-house bidder. A rare polychrome scrimshaw walrus ivory and baleen corset busk achieved $ 51,000, thought to be a new world auction record. Like most of the standout scrimshaw examples in the sale, it sold to a floor bidder. 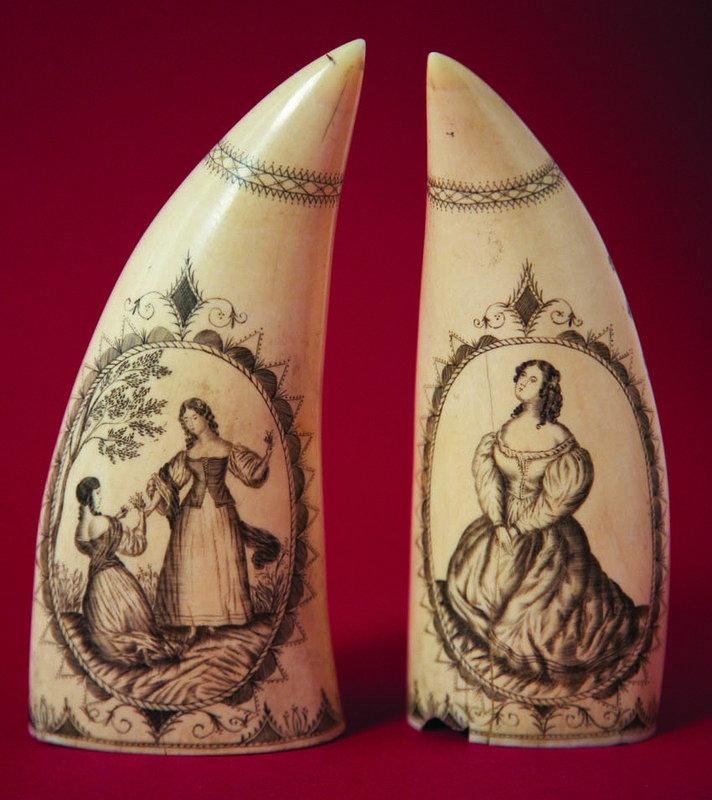 A pair of Nineteenth Century Banknote Engraver scrimshaw whale teeth fetched $ 48,000 in the room. A sterling silver Eddystone lighthouse sculpture sold for $ 12,000, going to a phone bidder in London.